FASHION Magazine: Road Trip Beauty! It is so exciting that camping/road trip season is upon us! However, being on the open road or out in the wilderness makes for more interesting times when it comes to skincare and beauty. 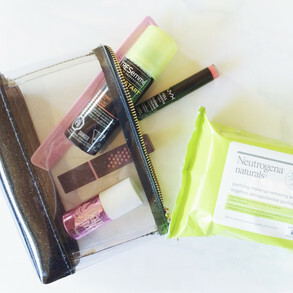 Here are some of my must-have products that I make sure to bring with me during all of this fun! First and foremost, I always make sure I have sunscreen with me wherever I go. Don’t forget to reapply often for the best protection. I like to go fairly light with my makeup during this time of year because when it gets hot and sticky, the last thing you want is heavy makeup. Keep it clean with just a smidge of concealer wherever you might need it. Then I like to use a tint for cheek colour. I find that it lasts longer, and it can always double up for a lip colour as well. When I like to put as little effort in as possible, but still look pulled together I go straight for an easy bright lip and just a swipe of mascara. For longevity, my faves are the Nyx Full Throttle waterproof lipstick formula, Blinc’s amplified mascara and Blinc’s brow mousse. All are basically life-proof and will even last through a quick summer dip! 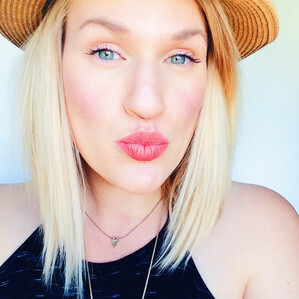 An awesome straw hat can make any state your hair is in look complete (I practically live in mine throughout the summer months). At the end of a long day camping or road-tripping, it can be tricky to make sure you get a good cleansing in of your skin. I like to pack face wipes with me, and then just rinse with a little water afterwards. Finish off with a drop of hydrating serum and I’m a happy camper!! Products used: Kinesys SPF 30 Alcohol-Free Sunscreen, M.A.C Moisturecover Concealer in “NC20,” Benefit Lollitint Lip & Cheek Stain, Benefit High Beam Liquid Face Highlighter, Nars Laguna Bronzer, Nyx Full Throttle Waterproof Lipstick in “Jolt,” Blinc Mascara Amplified in “Black,” Blinc Eyebrow Mousse in “Light Brunette,” Neutrogena Naturals Makeup Removing Wipes, Éminence Organics Stone Crop Serum. Newer PostFASHION Magazine: Tanning Essentials! Older PostFASHION Magazine: Clumpy Lashes IRL!